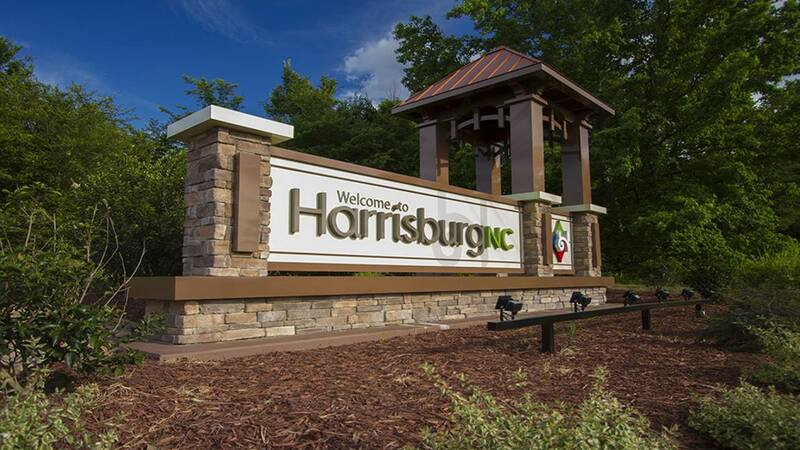 The town of Harrisburg is located in Southwest Cabarrus County and borders Mecklenburg County. According to the 2017 census the population is approximately 15,728 and the total land is 9.05 square miles. Harrisburg is a lovely town to call home and takes pride in being a small town. Harrisburg is close by to major shopping areas in Concord such as Concord Mills Mall. Parts of Harrisburg also border Charlotte’s university area and is close to the main campus of the University of North Carolina (UNCC) and area shopping and restaurants there as well. Harrisburg has its own town center where you will find shopping, restaurants and other services as well. Harrisburg is convenient to both I-85 and I-485. The town of Harrisburg has a helpful website for its residents and future residents as well! Harrisburg has grocery, banking, restaurants, shopping, and everything you need inside the town. However there is not a mall but Concord Mills is very close by as well as Charlotte Motor Speedway for all you NASCAR fans! Harrisburg offers a small variety of restaurants but there are several chain restaurants in the Concord Mills area as well. Harrisburg has 4 parks to enjoy complete with walking trails, playgrounds, picnic areas, ball fields and more. Children in Harrisburg attend Cabarrus County Schools. Always contact your local school board to see what schools your area is assigned to. Cabarrus County has a tax rate of .72 per $100 valuation. The current tax rate in Harrisburg is $0.355 per $100 valuation.